An object with a subtle nature generates a product grosser than itself. 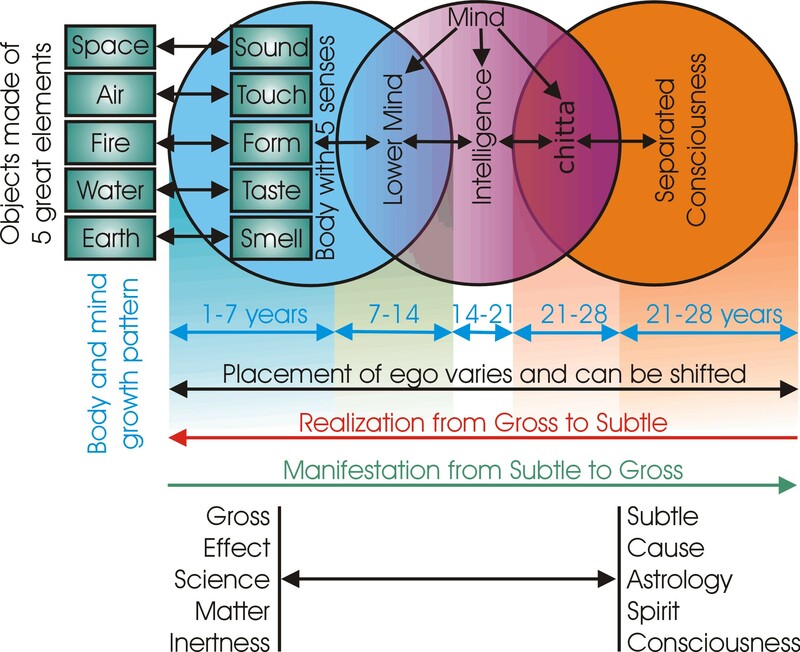 The five gross elements have no evolutes, they are the last emanation, the final emanation of puruṣa as prakṛti. The subtle nature of things extends all the way to their unmanifested form. Once you observe the subtle you can follow this observation to its source, to its origin as the potential of all things. Remember this view is based on Saṃkhya cosmology. 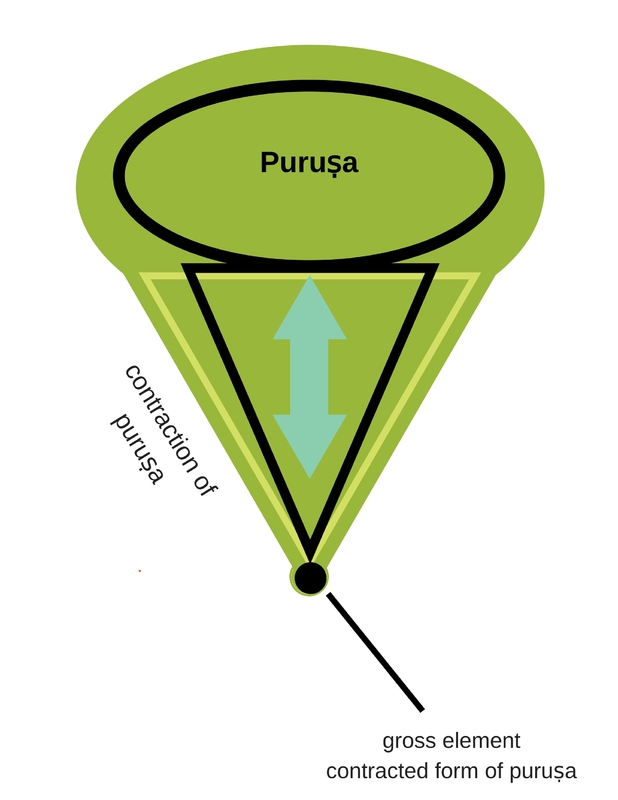 Every element is understood to be an evolute of consciousness, a contracted form of puruṣa. 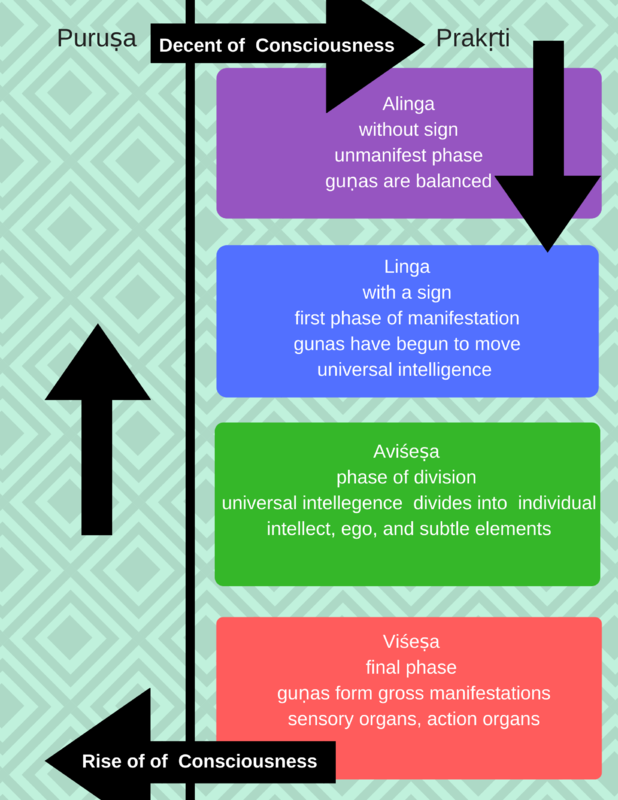 The descent of consciousness into a manifested stated and then its dissolution back into consciousness is a key element in Indic philosophy. This idea is central to Saṃkhya, Śaivism, Yoga, and many other traditions in India. It is often considered in the terms of the cycle of karma, death and rebirth, or reincarnation, however, it is much more subtle and complex than just that. It is the blinking of the eye of consciousness, the birth and death of each moment, the pulse of existence. The recognition of this pulse of creation existing in everything at every moment is fundamental to self-recognition. 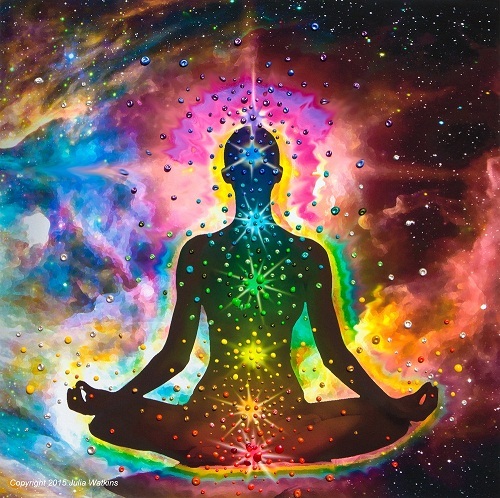 It is the opportunity to awaken to the interconnectedness of life and one’s true nature. Hold your hands out in front of you with your palms facing one another. Very gently move your hands like you are playing an accordion. Do this a few times, maybe for 30 seconds. Set an intention to feel the subtle energy between your hands. Move the hands together and apart again, notice if there is a difference in what you feel. A field of energy should now start to build between your hands; you can help this process by visualizing it appearing and growing in strength. Move the ball around in your hands until it feels powerful. 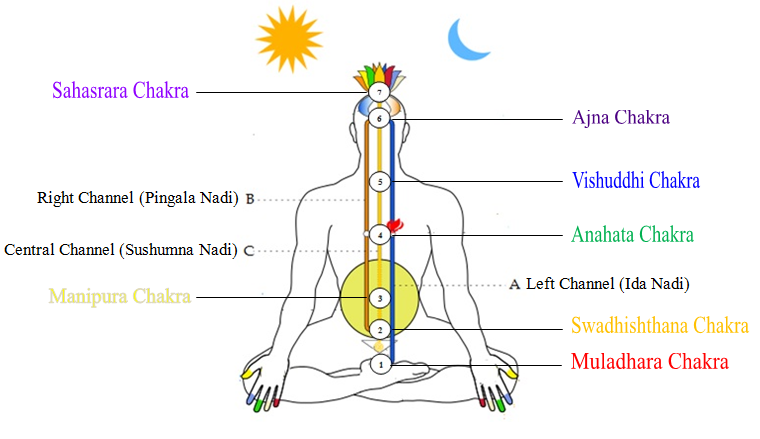 Place your energy ball over each chakra, holding for 30 seconds. Really focus on what you are feeling. When you get to the crown of your head, visualize the energy cascading over you. Sit for a few moments, notice what subtleties you feel. How do you understand Saṃkhya’s view of creation? Do you find it useful for understanding your own experience?Or not helpful? Did you feel any resistance as your hands moved closer together? Did you have a sense of them being connected by energy? What did you experience? What did you feel?